LEGO fan and flickr.com user Chris Goddard built this outstanding and cartoon-accurate street diorama from the TV Series Bob's Burgers. 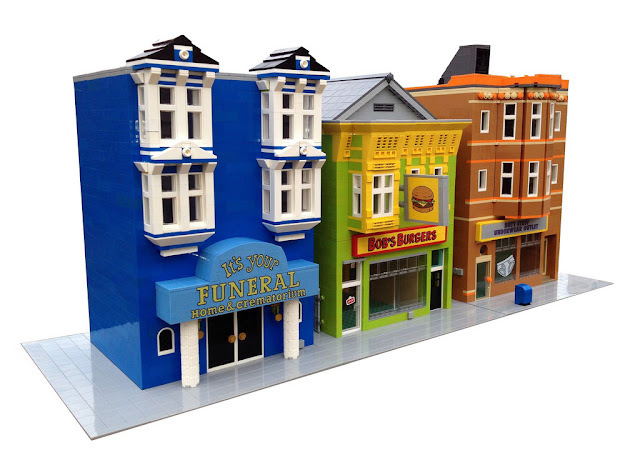 The details and colors resembles the buildings from the series very much as well as the logos of the shops. As a fan of TLG's official modular buildings I like these buildings very much.